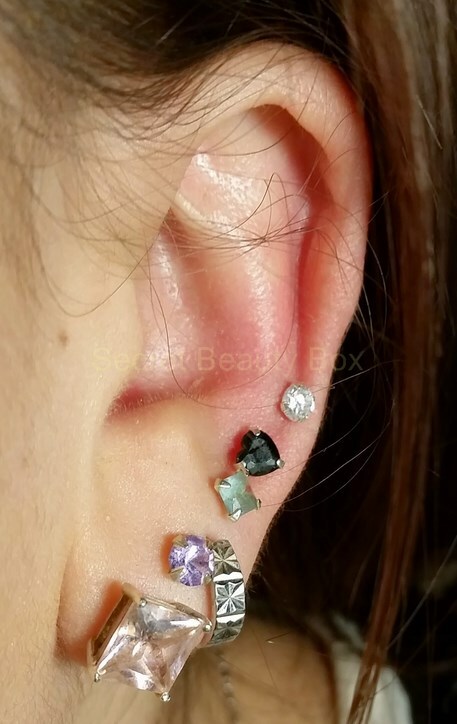 So when I was offered a chance to review some earrings from BodyJewelleryShop.com I had to jump at the chance because.. well I have quite a few ear piercings. I have 6 in one ear and 5 in the other. I got to pick what style I wanted so I just went for some simple diamante studs as these are what I wear everyday, I even sleep in them! These are also silver which is fantastic for me as I can have allergic reactions to certain earrings. 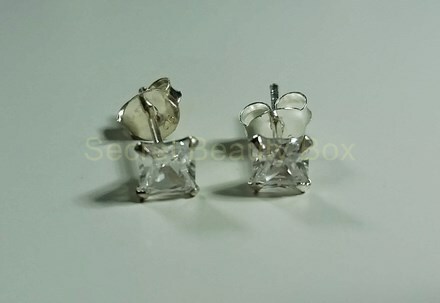 The first ones are nice simple clear diamante square studs. These are only £1.99!! What a bargain, I would be able to get a complete new set for my ears, which can be costly if i have to buy them separate! But at this price I won’t have to spend a fortune to get enough pairs. This set fits in really well with the type of earrings that I wear. 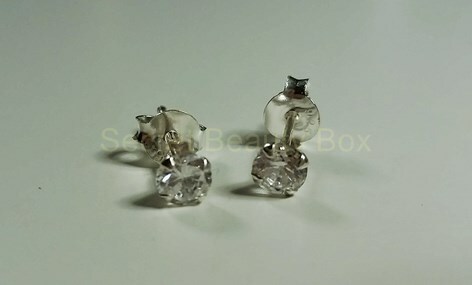 These are the second pair I got, very similar as you can see but these are clear diamante round studs. These are also only £1.99. Delivery is also really reasonable, it ranges from £1.35 depending on weight but if you order £10 then it is free worldwide delivery!! They don’t just sell stud earrings, they have all different types of body jewellery so no matter what type of piercing you have they will probably have something for you. I also noticed they have a nice selection of belly bars which I may have to take a closer look at before holiday. 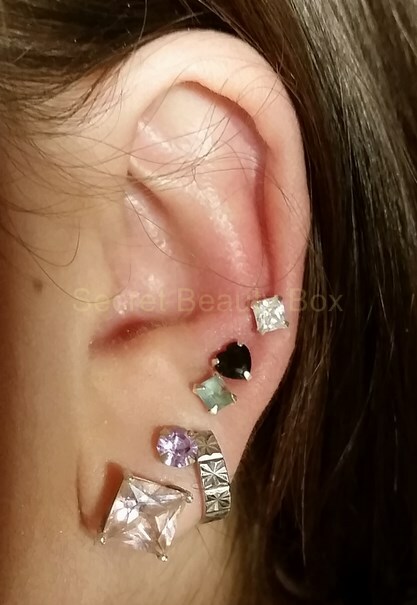 I am very impressed with this company and I will definitely keep them in mind when I need to invest in some new earrings, I do struggle to find enough pairs that match and that I can actually afford to buy! So this website will definitely save me some time and I wont have to search every shop to find what I want. Have you tried this store before? What piercings do you have?